I work as a PM for a small company active in the metal carpentry business. We have 3 PMs managing up to 50 projects per year ranging from few weeks to three years each. Design, shopfloor and site installation people are, of course, shared across the projects. We are struggling to find a good way to manage a global schedule where we can spot and anticipate resource shortage or contention across all the projects. 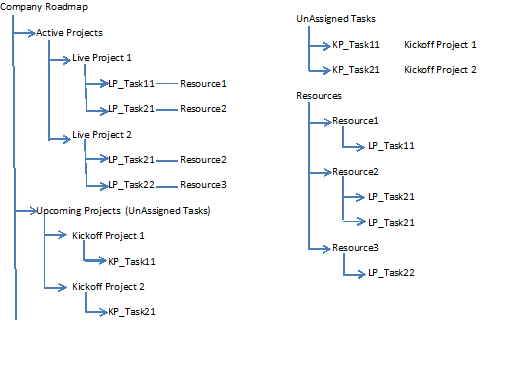 MS Project seems fine as long as we use to plan at a week resolution level for projects far down the pipeline. As soon as we need to manage the shopfloor or site planning for the next week, the interplay between resources, changing priorities and activities becomes so fluid that it seems impossible to track things down with Project (it takes more to update the tool than manage things with paper and pencil). Once we get hit by this "wave" people gets frustrated and lose confidence in using MS Project for the coming planning, but we see that there is a big potential in using it. I think this pattern is quite common. What method would you suggest to approach this type of situation? I propose you to use KanBan+Lean for it. Correct me if I'm wrong but your projects are very similar in stages and activities, the difference only in size and duration. You also would need a person responsible for resource allocation and prioritization, and work agreement on how it should be prioritized, that is shared through the company. What to use: Jira, Trello any kanban board shall do the trick. Have you considered using a different PM solution? It sounds like you need a PM tool that organizes your projects, people and priorities while having visibility at a high and a drill down level to ensure everyone is on track. With this visibility into project plans, those working on the projects tend to have more confidence. I would suggest trying out LiquidPlanner. I think their approach may be able to help you. Hope this helps! This management process can be achieved through EasyRedmine. Not the answer you're looking for? Browse other questions tagged planning resource-planning or ask your own question. How to manage different detail levels in a project plan to be presented to different audiences? What is “agile's answer” to projects that come in many shapes and sizes with different scope? How to use Agile in a small web agency managing a lot of different projects?